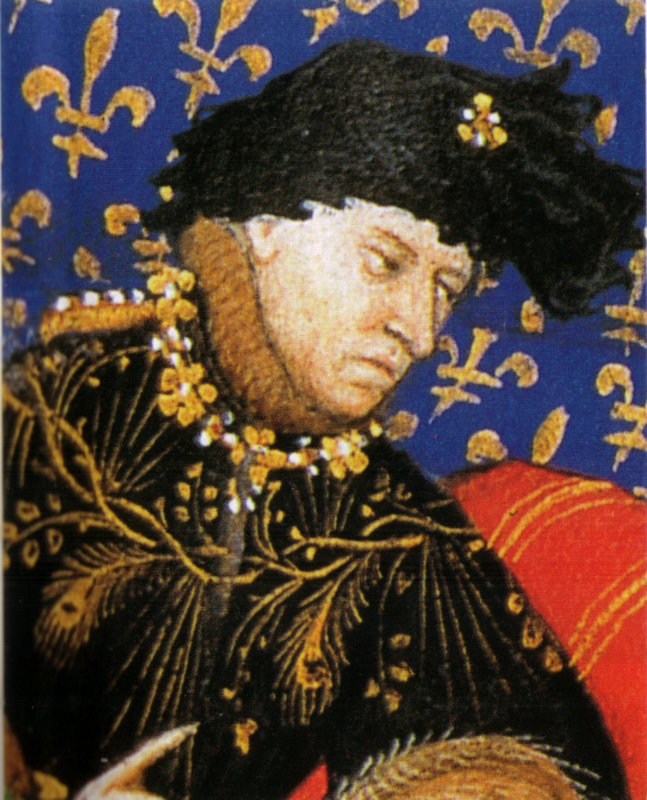 Charles VI of France by the painter known as the Master of Boucicaut (1412). Charles VI the Well-loved, the Mad Capet-Valois of France, King of France, was born 3 December 1368 in Paris, France to Charles V de Valois (1338-1380) and Jeanne de Bourbon (1338-1378) and died 21 October 1422 in Paris, France of unspecified causes. He married Elisabeth von Bayern-Ingolstadt (1371-1435) 8 April 1350 JL in Arras, France. Notable ancestors include Charlemagne (747-814), Alfred the Great (849-899), Henry II of England (1133-1189), William I of England (1027-1087), Hugh Capet (c940-996). Ancestors are from France, Spain, Germany, the United Kingdom, Russia, Ukraine, Hungary, Belgium, the Netherlands, the Czech Republic, England, Italy, Turkey, the Byzantine Empire, Sweden, Belarus.